Ladies and gentlemen, iolm is pleased to present, the match up you've all been waiting for: Tiny Yeti vs. Tiny Big foot! Two handsome abominable buddies from 13 Chestnuts! 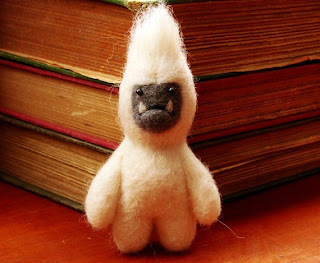 Standing at a massive 3.5 inches in white, give it up for Tiny Yeti! 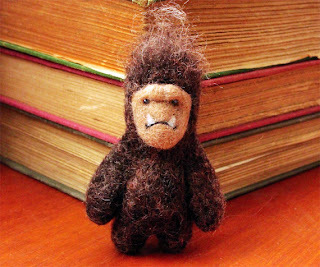 AND In brown, fight ready, at a sturdy 3.5 inches, Tiny Sasquatch! Let's get ready to rumble!! !